I was at McNabs Island today, and was asking Cap'n Mike about this topic. Construction will be ongoing until the end of March. He has been hearing rumour that they're going to block access to all the underground parts of Fort McNab, which will be sad. If I had to guess, that is exactly what they're doing. I imagine they'll eventually end up doing that to Hugonin Battery too. Probably remove all the corrugated steel housings and cement up the magazines. Great post mate! I wish i had thought of it before my trip to N.S. in June. Some photos from McNabs Island on September 18/19, 2010. When has construction in NS ever lasted a single season?? I wouldn't be surprised if the crews were still there half way through next season as well. I wouldn't be surprised to see them there into Spring or Summer, definitely..
Tamo has added a Fort McNab gallery to the location database. I wanted to share two of his photos in this thread, I hope he doesn't mind. They're from late October 2010, about a five weeks after my photos were taken. It looks like they're restoring the fort rather than blocking it up. I imagine the tunnels will more than likely be sealed though. Yeah, the goal is safe access. There is no way you ever get the underground safe again without some serious work. Parks Canada has moved two cannons back to their original home on McNabs Island, in Halifax harbour. The guns were set up to defend the harbour between 1890 and 1910. The larger one weighs 37 tonnes and is as long as a bus. With a firing range of 12 kilometres, the big gun was cutting-edge technology in its day. It was the first breach-loading cannon in Halifax, which meant crews could load it from behind rather than ram ammunition down the muzzle. 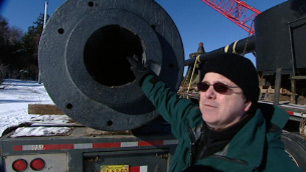 "When this was mounted in 1892 at Fort McNab it was the highest tech piece of artillery on the planet," said Mark Garnett, asset manager for Parks Canada for mainland Nova Scotia. The cannons spent that last few decades in Point Pleasant Park and York Redoubt, two Halifax parks. Garnett said the two guns were returned to the island to help visitors understand the history of Halifax's military defences. "It's about breach-loading artillery, and it's fun to put it back where it belongs," he said. "It's an important part of the story [and] that is the reason Fort McNab was a national historic site." The two cannons sit on flat-bed trucks while workers clear away ice and snow. In a few days, a crane will lift the guns and put them into place. The Fort McNab National Historic Site of Canada is expected to reopen to visitors in May. Forts @ Pt. Pl. Park under repair won't be accessible to visitors until summer, says HRM staff. Read The Herald Feb. 24. I wonder if this possibly means that Cambridge will be fixed up? (Hoping). I've got a feeling that this only includes the martello tower unfortunately. It's the only fort in the park that I recall being under construction. They do say "forts" though so we'll see. Work was done around Cambridge to reduce overgrowth, but I can't see them doing much with it beyond that. The refurbishment of old forts inside Point Pleasant Park in Halifax is to continue through the winter and into the spring, municipal staff said Wednesday. Peter Bigelow, the manager of real property planning with Halifax Regional Municipality, said stabilization and restoration work at the three sites means park users won’t have access to the forts until summer. He acknowledged the original job schedule called for most of the repair work to be finished by mid-December. But Bigelow said "we were able to relax the schedule a little bit and do less work in the winter, when it is very difficult to do that work" due to poor weather and ground conditions. 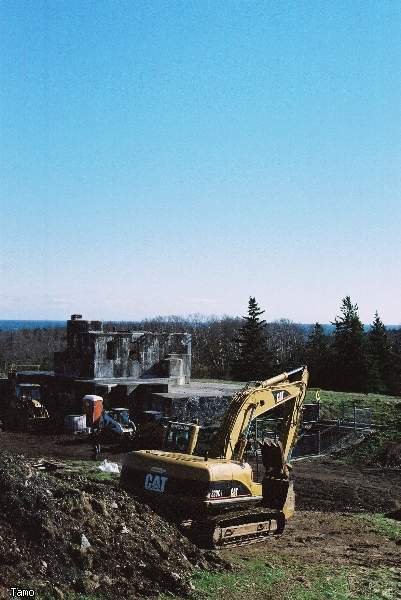 The fortifications receiving facelifts are Cambridge Battery, Fort Ogilvie and Northwest Arm Battery. These sites have been popular with small children, students and other park visitors over the years. Cambridge Battery’s makeover involves the "entombment" of two walls. This process includes enclosing the walls "as a way to preserve deteriorating and unstable" structures, said a municipal news release. Work began in the fall and is part of a long-term, multimillion-dollar master plan to spruce up the park. 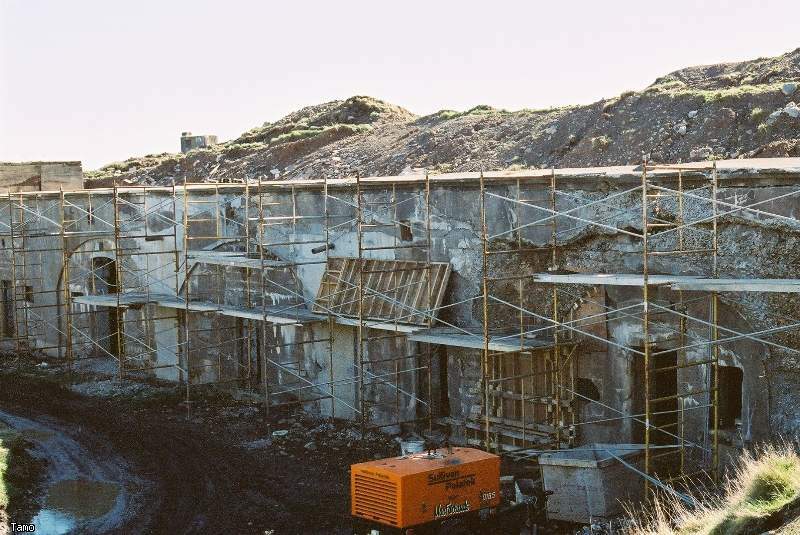 Bigelow said the bulk of fort restoration activity is to finish before the end of March. "There aren’t any major issues. It’s just when you start this kind of (stabilization) work you can find things you didn’t expect." The forts will still be off limits in the spring because planners want to let the sites "harden" once landscaping elements have been applied, he said. "We usually let those sites ‘firm up,’ if you will, through the spring and then we’ll put people back on them in the summer," he told The Chronicle Herald. Bigelow said the work will be finished in time for this year’s season of Shakespeare by the Sea productions. Over the centuries, aboriginal people, the military, average citizens and extreme weather events such as hurricane Juan have played a role in shaping the park’s history. In 1866, Point Pleasant’s 75.2 hectares were leased by Queen Victoria to park directors for 999 years for one shilling a year. The $10-million renewal of the park is happening after much public consultation and a competition for a consultant to devise a comprehensive plan for the green space at the southern tip of peninsular Halifax. Design of the revitalization project began almost four years ago. One of the components is a planned $3-million visitors centre for park users such as school groups. The proposed structure would be a single-storey centre built in the lower parking lot where the canteen is situated. Awesome. -_-' I might have to take a wander over there on the weekend to *ahem* "check" on the progress of the forts. They've been working on Fort Ogilve for several months now, though progress has been extremely slow. The guns have been taken down since Christmas or thereabouts. Nothing was being done on Nortwest Arm Battery as of Tuesday. I haven't been near Cambridge to say if anything is going on there. I wonder where they've taken the guns to. And whether they plan to bring gun(s) back. I didn't get to look closely, but I think the guns were just lying off to the side while they worked on the cement. With the recent movement of guns to Fort McNab, I wouldn't have been surprised to learn that they came from Ogilvie. I've heard on the news that the guns being moved back to Fort McNab are coming from both Point Pleasant and York Redoubt. I can confirm that some have already been moved from YR. This page was generated for you in 171 milliseconds. Since June 23, 2002, a total of 574160092 pages have been generated.